And it is aged in both French and American oak barrels for 18 months. We sipped while enjoying shrimp cocktail and then gourmet grilled cheese (mozzarella cheese, basil, and roasted red peppers) sandwiches with seasoned potato wedges. Kicked up comfort food to ease us into the weekend. 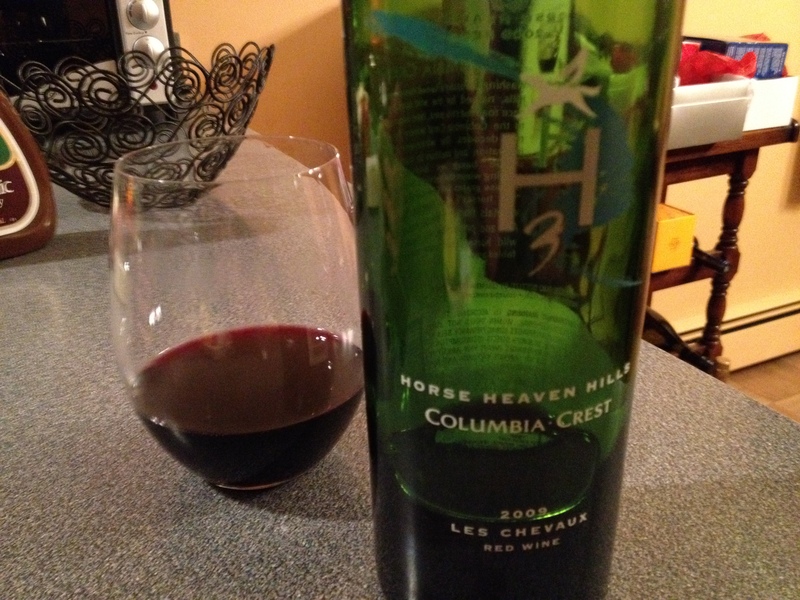 Horse Heaven Hills 2009 Les Chevaux Red Wine. Was fun and would be a treat to serve, but we would probably opt for something a little lighter in this situation next time. This entry was posted in Red blend and tagged USA.